Ah to have been in Paris this past week! It would have given me the opportunity to toast—in person—my mentor Anne Willan for the honor bestowed on her latest book at the Gourmand Cookbook Awards. Instead I raised my coffee cup generally France-ward to salute this book that represents a lifelong passion for, and curiosity about, not only food we eat today, but chefs and cooks who came before us. 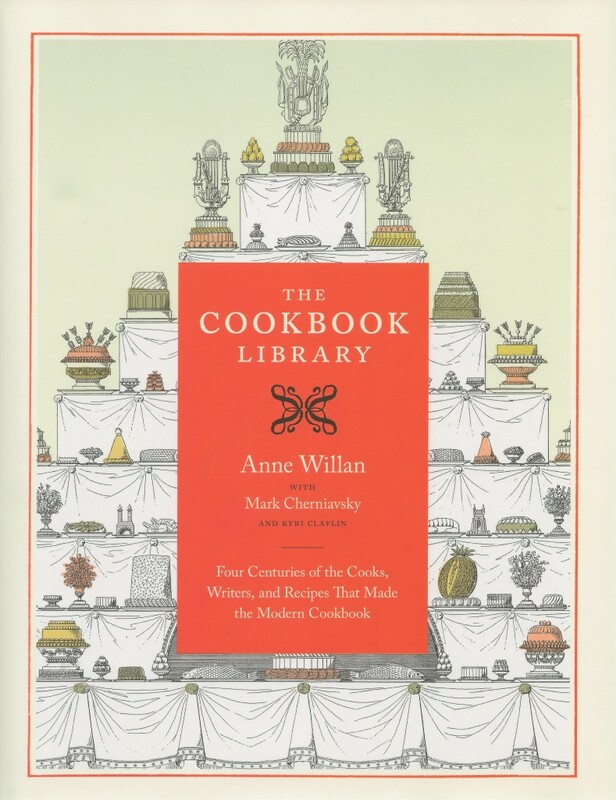 If any cookbook author deserves the nod of “prolific” it’s surely Anne Willan. During the 2 1/2 years that I was in France studying and working at her La Varenne cooking school, she wrote about a dozen books that I was incredibly fortunate to help with (Château Cuisine , La France Gastronomique and a number in the Look & Cook series ). And she wrote many before, and has written many since. But while she’s contributed a generous number of her own titles to the collective cookbook shelf, she and her husband Mark Cherniavsky have a keen interest in the cookbooks of others as well. Particularly those of generations (if not centuries) past. Having a large home in the French countryside with ample room for extended library space allowed them to house many thousand cookbooks. I know well, because Anne enlisted my help to manage downsizing the collection in advance of their move from France to California. It was a long but glorious task, because among the countless things I’d learned there a decade earlier was the potential riches of even the most quirky and unexpected of cookbooks. I’d thumbed through hundreds of the titles myself while working there; while boxing them up later, I came across the occasional slip of paper with a note in my handwriting dating back to recipe development of one topic or another. Years that Anne and Mark have spent researching, studying, drawing from and being inspired by these books lead eventually to the publication of the new masterful work, The Cookbook Library: Four Centuries of the Cooks, Writers, and Recipes That Made the Modern Cookbook . In Paris last week, it received the Gourmand Hall of Fame award. And just today it’s been announced a finalist in the IACP Cookbook Awards for culinary history. She’s written many phenomenal books before, but this is exceptional. Not only for the fascinating history it lays out for all cookbook enthusiasts and scholars. But it also helps those of us writing cookbooks today understand the depth and diversity of food-related books that came before, the foundation from which we’re all building.